From today (20 Nov) members of the public can submit their views on plans to enable the creation of a Quality Bus Corridor from Tadpole Garden Village to Swindon town centre via Cricklade Road. 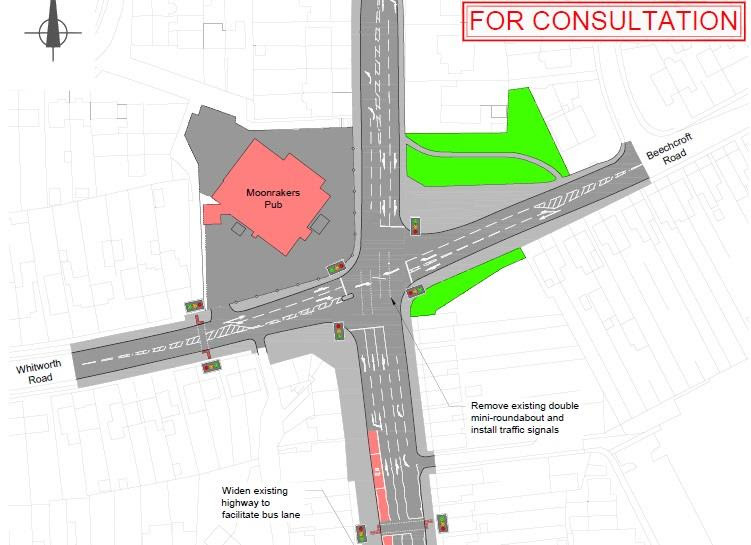 The proposal involves removing the existing two mini-roundabouts by the Moonrakers pub and replacing them with a traffic light-controlled junction. In addition, the proposal also includes widening the road to allow a north-bound bus lane to be installed on Cricklade Road between the junction with Chestnut Avenue and the Moonrakers. The aim of this proposal is to improve traffic flow and journey times for all motorists using Cricklade Road, particularly for people using the route linking Tadpole Garden Village with the town centre via Gorse Hill and Broadgreen. Following an initial phase of consultation earlier this year, a further round of public engagement is taking place to present a more detailed plan for the Moonrakers junction. Councillor Maureen Penny, Swindon Borough Council’s Cabinet Member for Highways and the Environment, said: “This proposal forms part of the programme of road improvement works taking place right across the Borough. These works are vital to ensuring our highways network is maintained to a high standard. 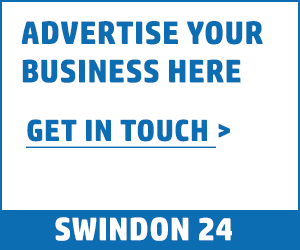 If the scheme goes ahead, it will be funded by the Swindon and Wiltshire Local Enterprise Partnership. A consultation event will be taking place at Pinetrees Community Centre in Pinehurst on Thursday, 22 November between 4:30pm and 6:30pm . All members of the public are welcome to attend the sessions to find out more about the proposed scheme. The consultation closes on Monday, 10 December 2018. The plans can also be viewed by logging on to www.swindon.gov.uk/northswindonhighwayimprovements.